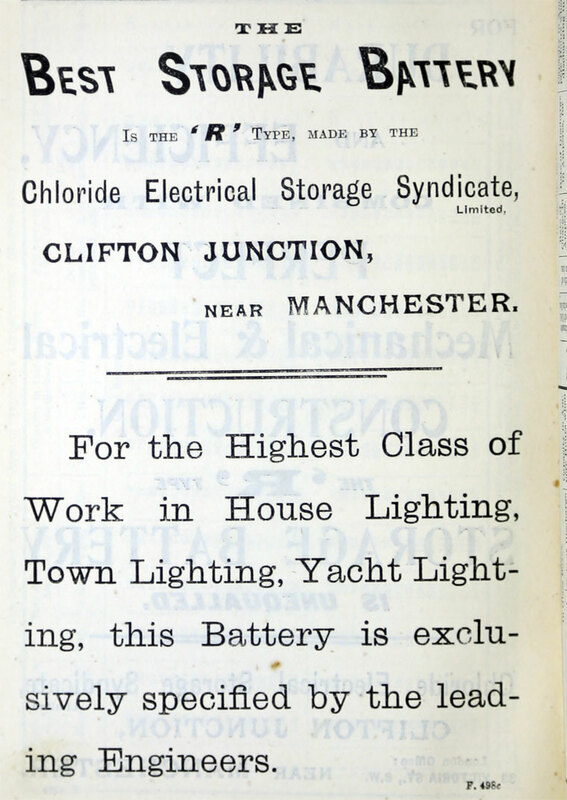 of Clifton Junction, Manchester and London. 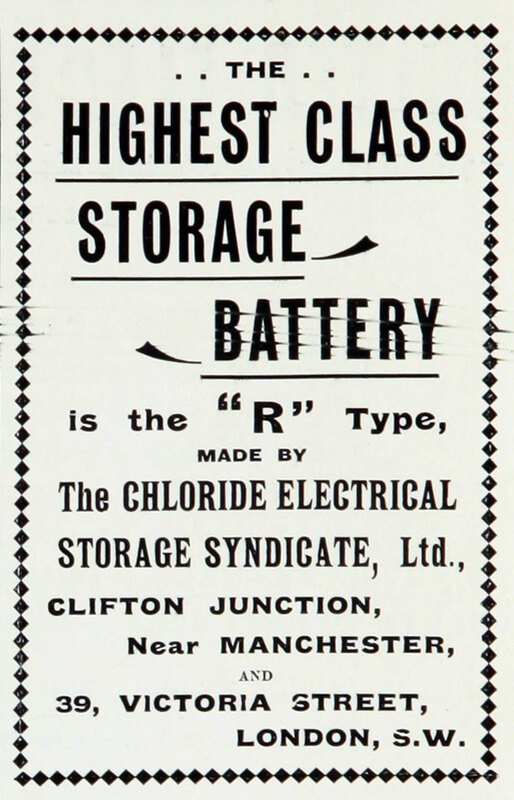 1891 The company was registered on 12 December as the Chloride Electrical Storage Syndicate. 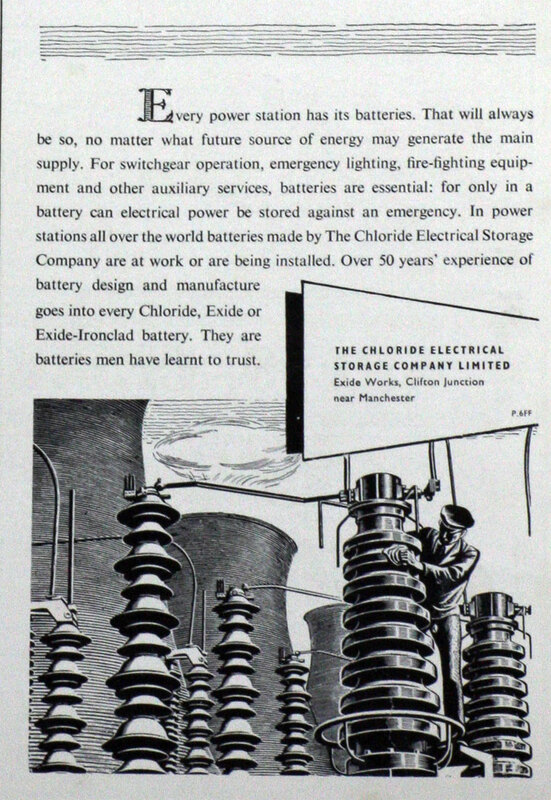 to exploit patents of the Electrical Storage Battery Co of New Jersey, the United Gas Improvement Co of Pennsylvania outside USA and Canada. 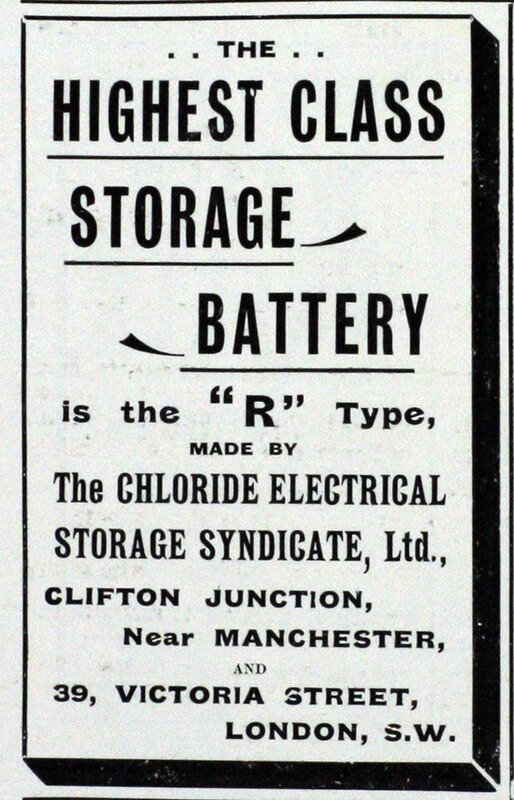 Further agreement in 1892 focussing mainly on storage batteries. 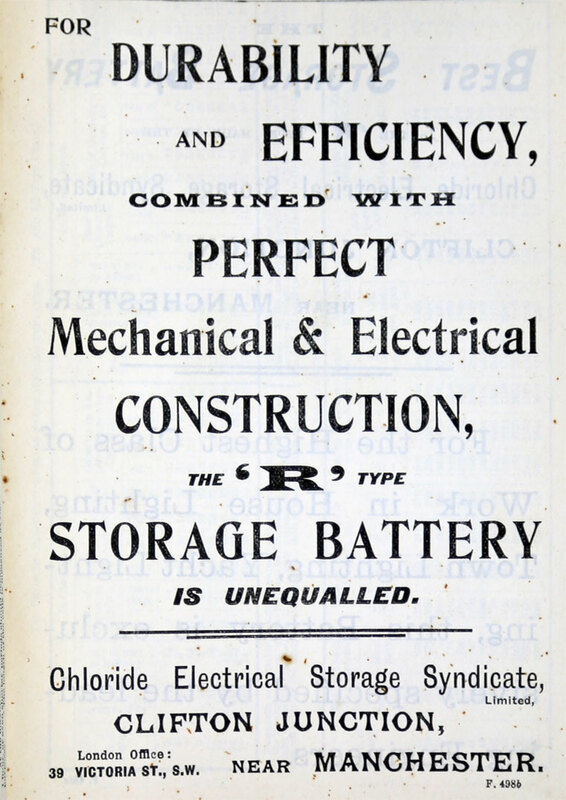 1895 Agreement with Electrical Storage Battery Co on exchange of technical information. 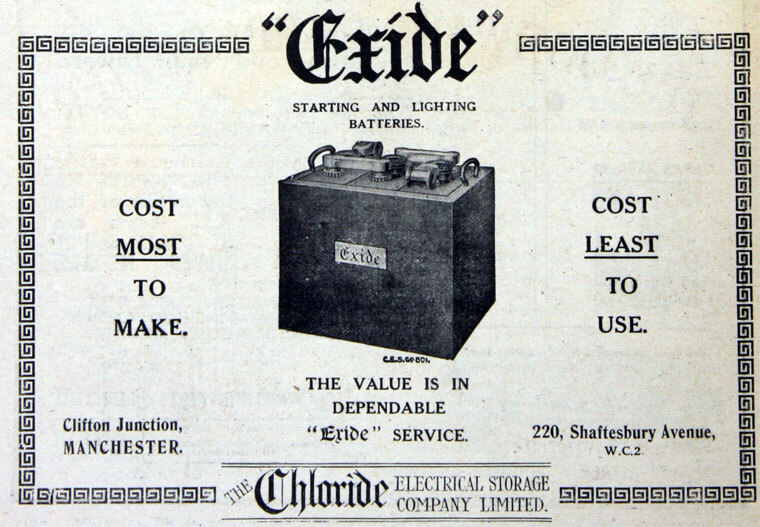 1905/6 First ignition batteries and traction batteries but this remained a small part of the business up to WW1. 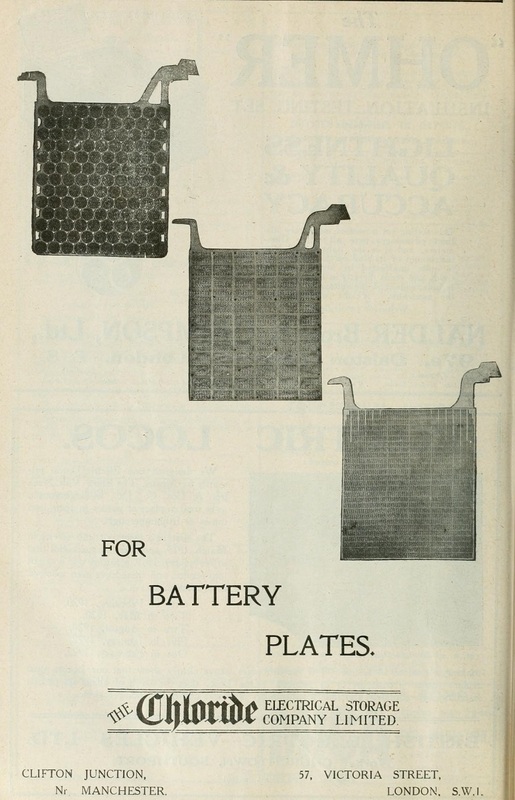 1909 Started developing relations with other battery companies. 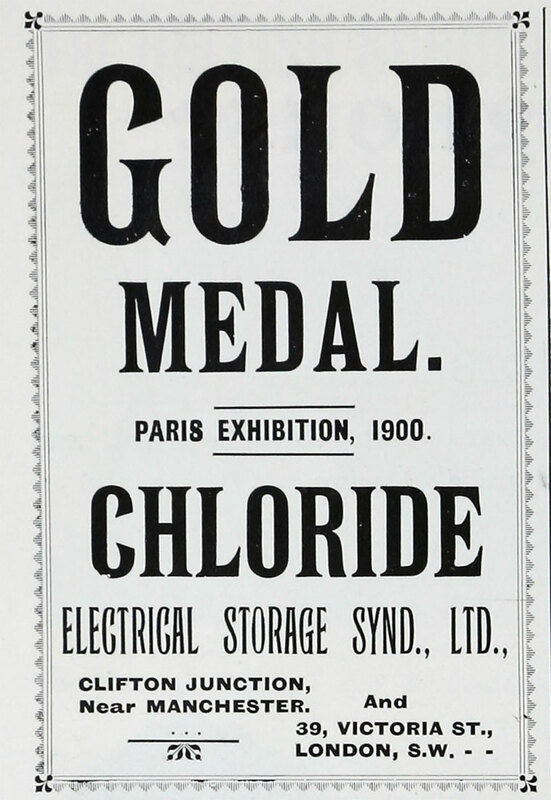 1922 Acquired controlling interest in Pritchetts and Gold. 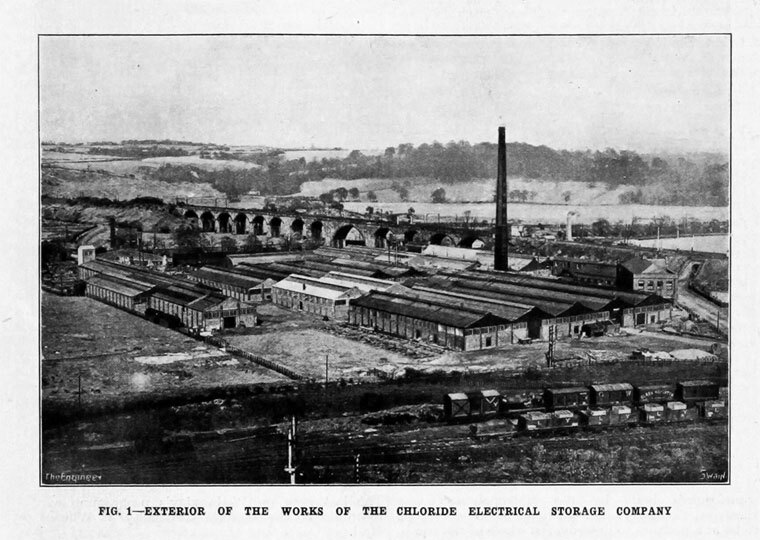 1927 Acquired Lorival Ltd, makers of containers for accumulators. 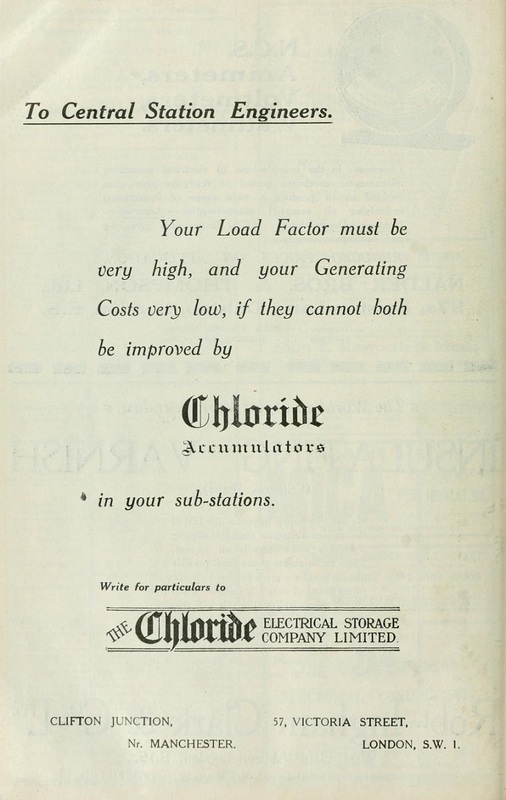 1929 Acquired National Accumulator Co which had been formed in 1928 to hold all the shares in D. P. Battery Co and a major interest in Hart Accumulator Co; the company was owned by J. 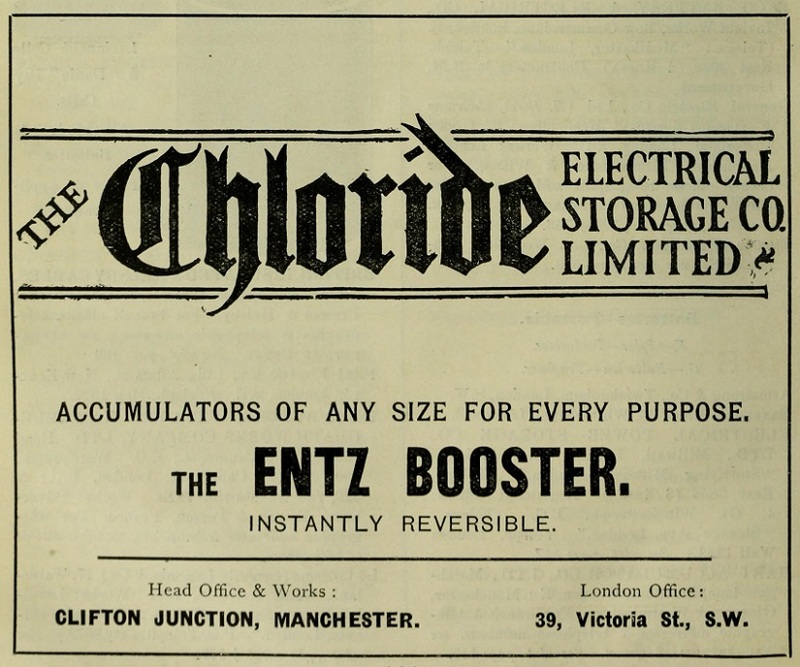 Stone and Co and other competitors; the purchase also provided controlling interests in Premier Accumulator Co and Fuller Accumulator Co (1926). 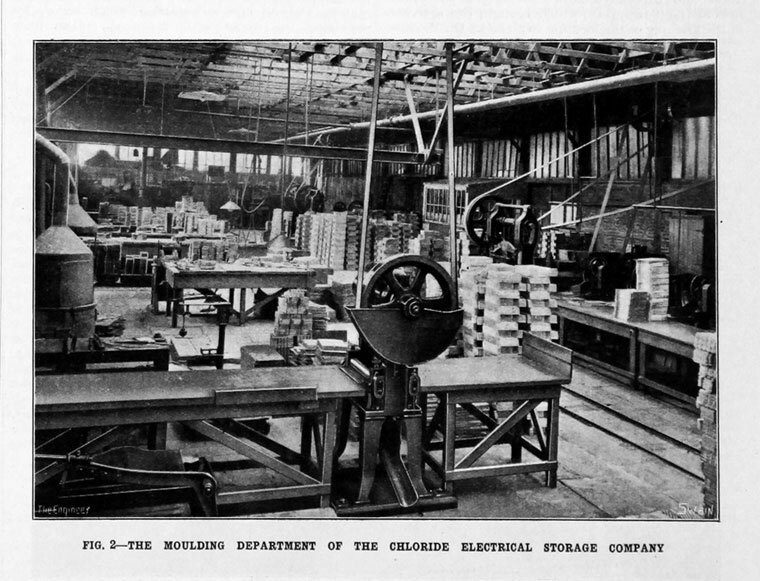 The purchase of National also brought the acquisition of M. C. L. and Repetition. Agreement with J. 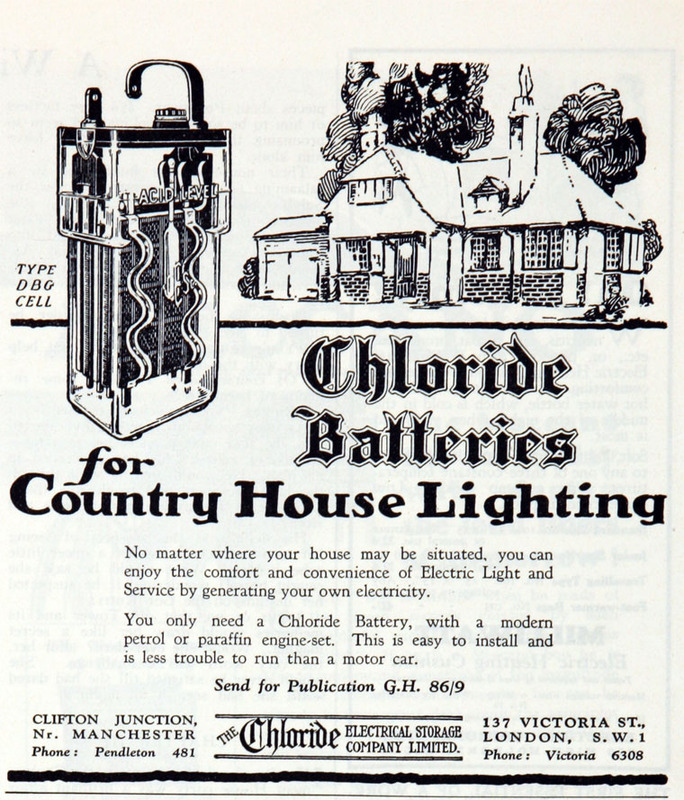 Stone and Co relating to batteries for train lighting which prohibited Stones from making lead-acid and alkaline batteries and assigned to Chloride an agreement with S.A.F.T. 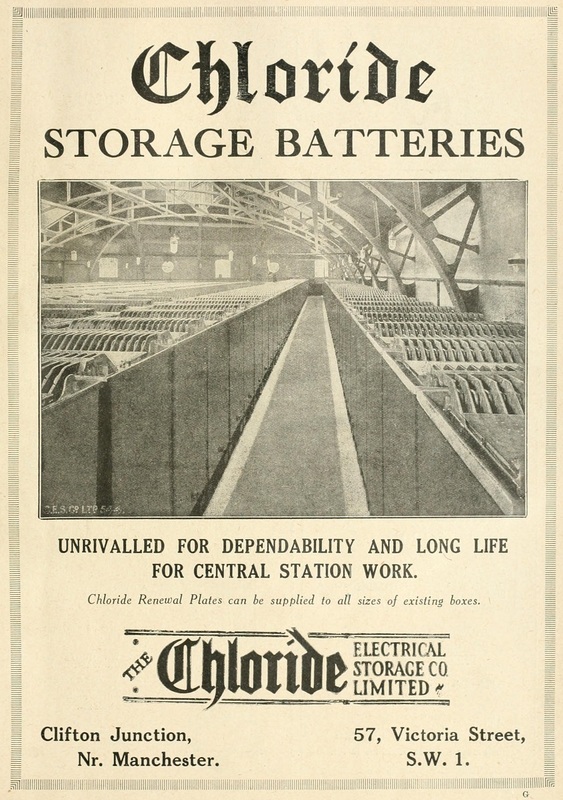 regarding alkaline batteries; Chloride was to supply these to Stones. 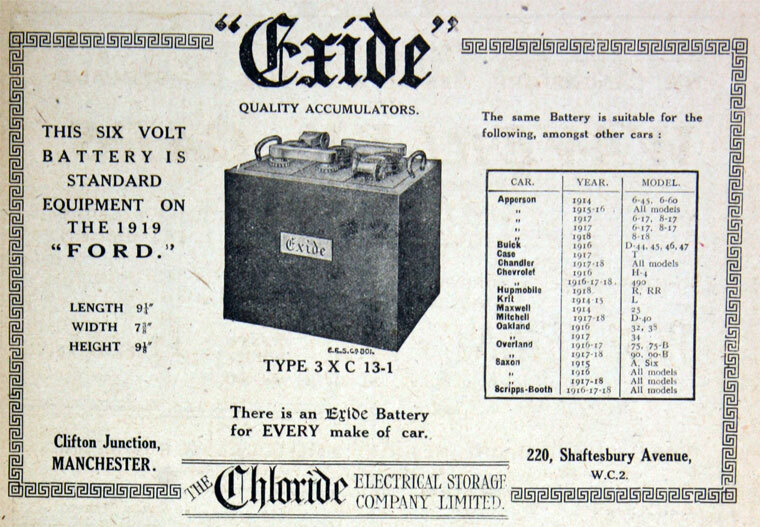 1932 Acquired Alton Battery Co Ltd.
1933 With Joseph Lucas Ltd and Oldham and Son, set up the British Starter Battery Association. 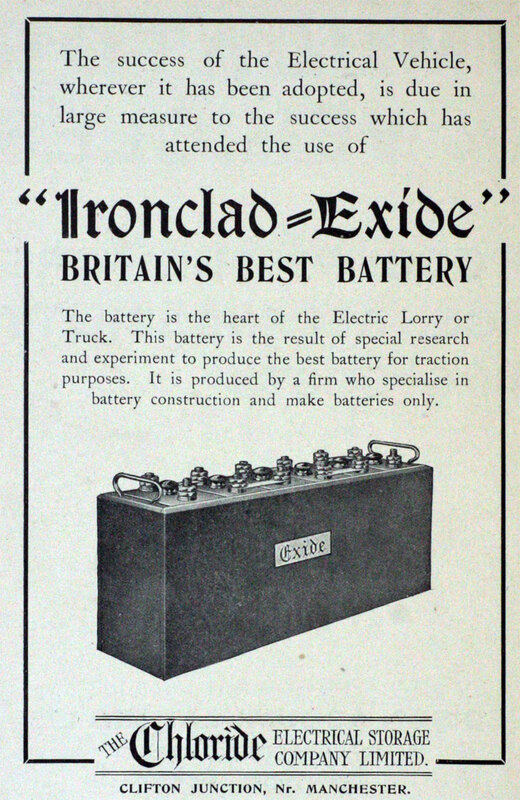 1934 Acquired United Ebonite Manufacturers Ltd, makers of containers for accumulators. 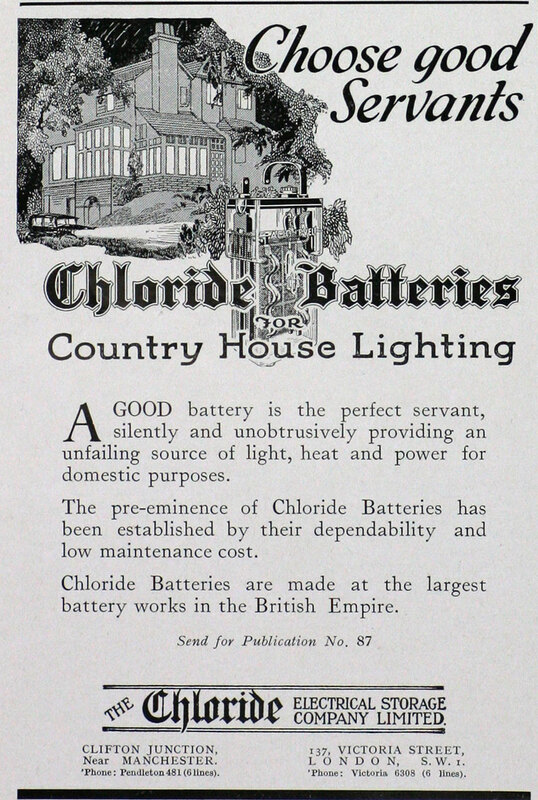 1934 Acquired the dry batteries business of Britannia Batteries Ltd.
1936 Completed the acquisition of the alkaline batteries and other interests of Britannia Batteries Ltd.
1937 Agreement between Chloride Electrical Storage Co and Ever Ready Co (Great Britain) Ltd whereby Chloride agreed not to manufacture primary batteries but source its needs from Ever Ready whilst Ever Ready agreed not to manufacture secondary batteries but source its needs from Chloride. 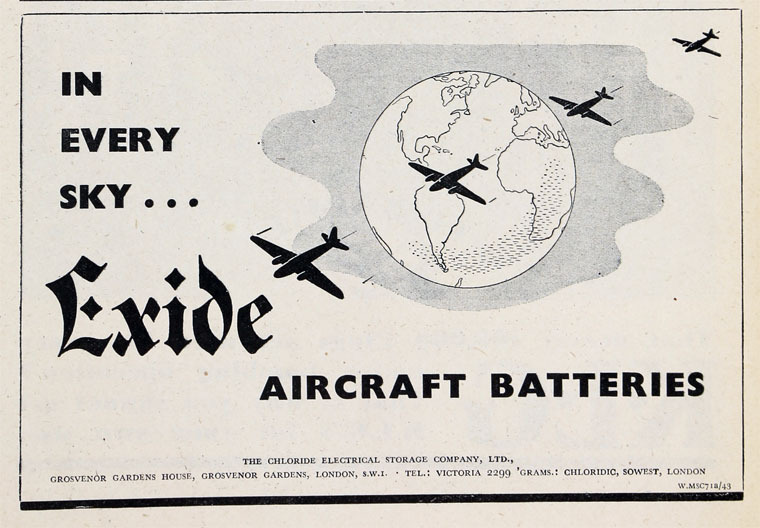 1937 Summit Battery Co Ltd formed by Chloride Electrical Storage Co as a subsidiary to manufacture radio batteries. 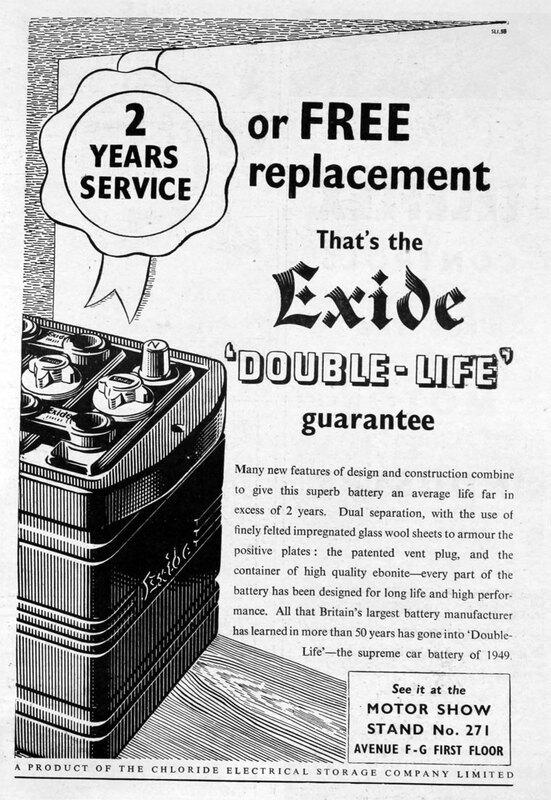 1938 Acquired Rothermel Corporation Ltd, which had a subsidiary that made parts for road vehicles. 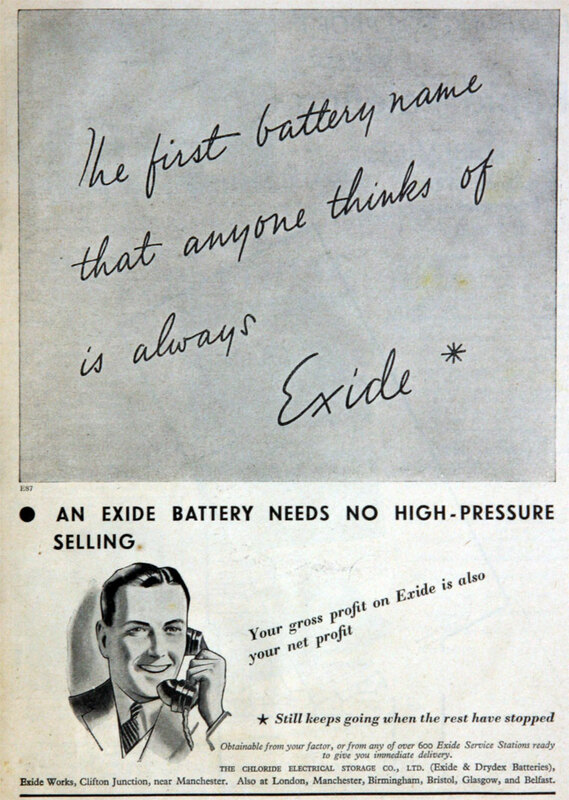 1939 Acquired Midland Vehicles Ltd, makers of electric vehicles. 1942 Disposed of Midland Vehicles Ltd.
1943 Disposed of Rothermel Corporation and M. C. L. and Repetition. 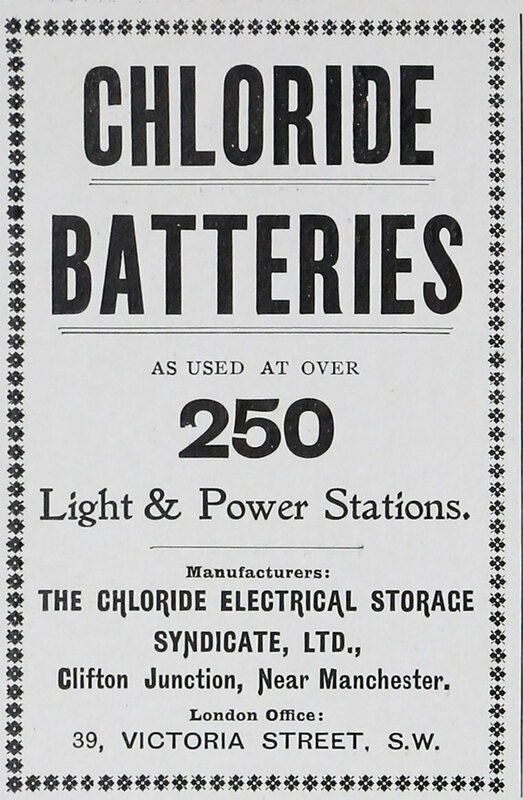 1949 Name of Summit Battery Co Ltd changed to Chloride Batteries Ltd. 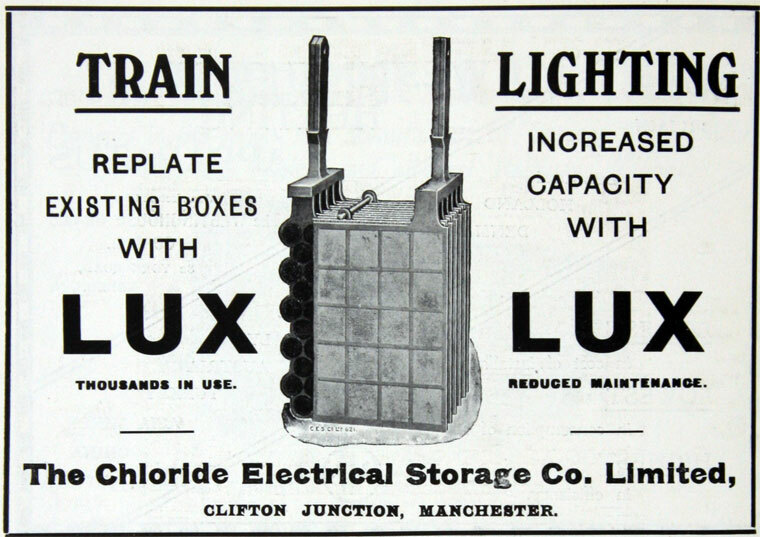 Took over the manufacture and sale of electric storage batteries from the parent company. 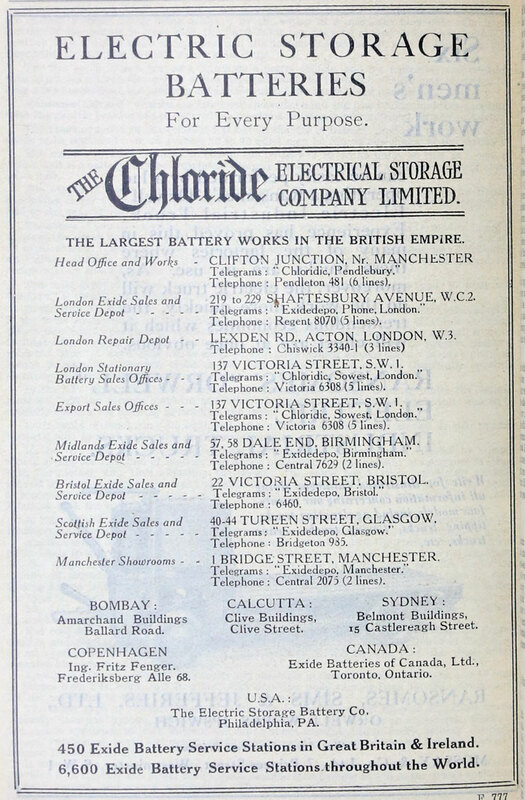 1950 Chloride Electrical Storage Co became a holding company for the group. This page was last edited on 22 January 2019, at 12:34.